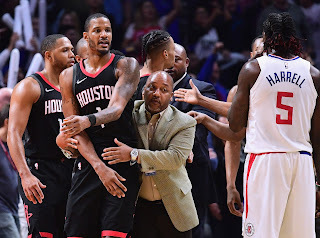 Adrian Wojnarowski of ESPN reported Wednesday that the NBA has suspended Gerald Green and Trevor Ariza two games each for their roles in the post-game activities between the Rockets and Clippers Monday night. While James Harden and Chris Paul were also involved, neither were handed any punishment from the league. Sources. 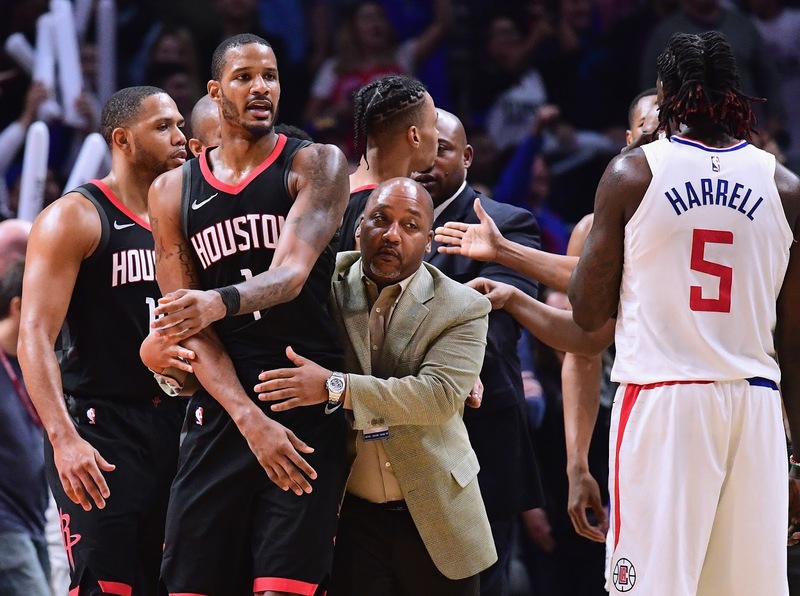 The NBA is suspending Houston’s Trevor Ariza and Gerald Green two games for aggressively entering Clippers locker room. No penalties for Chris Paul and James Harden. The suspensions were something that was expected. There is no way the NBA was going to sit around and do nothing about the situation. For those who do not know the situation, Green and Ariza were trying to enter the Clippers locker room post-game to find Austin Rivers and Blake Griffin. It was noted that Harden and Paul were looking to control the situation, hence their lack of punishments. Green and Ariza's suspensions are coming at a bad time for the Rockets, with their next two games being against the Golden State Warriors and Minnesota Timberwolves. Those are two of the top four teams in the Western Conference and also opponents the Rockets could see in the postseason. With that in mind, a thin rotation for the Rockets gets even thinner. Fortunately, forward Luc Mbah a Moute just returned to the lineup from his shoulder injury after missing 15 games. Expect to see either Mbah a Moute or P.J. Tucker take Ariza's spot in the starting lineup. While both bring toughness on the defensive end, neither have been shooting as well as Ariza. Both Green and Ariza are going to be missed heavily on the offensive end. Green has averaged 15.6 PPG and 3.2 RPG while shooting 41.5 percent from three since signing with the Rockets on December 28th. While the suspensions were expected, it is surprising to see Griffin not receive any punishment for shoving Rockets coach Mike D'Antoni. However, at this point, there is nothing that can be done about it. With James Harden returning on Thursday, the Rockets can work through the suspensions for Green and Ariza.